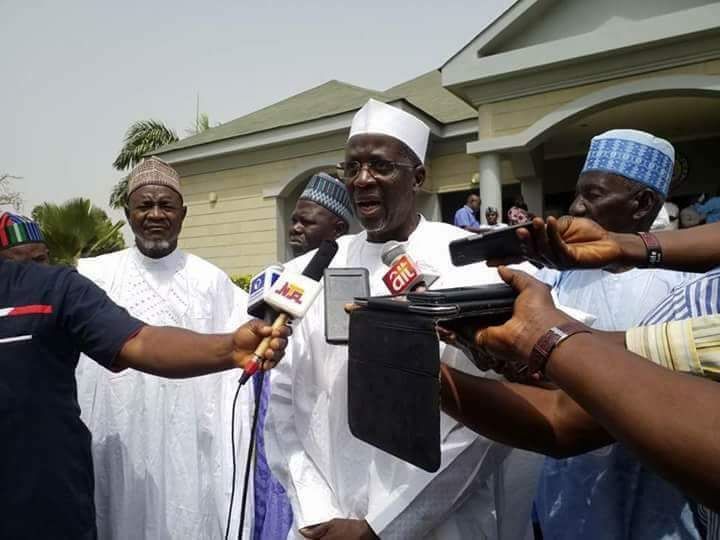 Former Governor of Sokoto State, Alhaji Atahiru Bafarawa has described the herdsmen killings in Benue and other parts of Nigeria as politically motivated. He stated this today at the Benue Peoples House Makurdi during a condolence visit on Governor Samuel Ortom and presentation of relief materials. 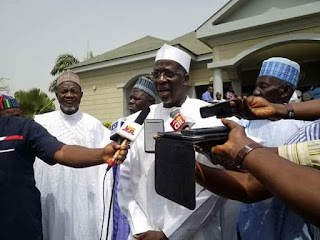 Bafarawa, who tasked political and traditional leaders especially those from the North to find a lasting solution to the herdsmen and farmers crisis in the country also blamed the killings on immigrant herdsmen who take advantage of the country's porous borders and move into Nigeria with arms in order to cause mayhem on farmers. According to him, the Fulani herdsmen known in Nigeria do herd their cattle with sticks, stressing that the culture of carrying guns by herdsmen was alien and should be critically looked into. He alluded to the fact that population had grown exponentially without a corresponding increase in land, adding that modern ways of doing things needed to be adopted. Responding, Governor Ortom acknowledged the harmonious relationship that had existed between Fulani herdsmen and the Tivs in particular, stressing that allowing herdsmen to migrate into Nigeria from foreign countries without necessary papers to cause mayhem with impunity was worrisome. The Governor stated that the herdsmen challenge was a national issue that required a national solution, noting that only the federal government has the capacity to address the matter. According to the Governor, a long time search for a lasting solution to clashes between farmers and herdsmen gave birth to the Open Grazing Prohibition and Ranches Establishment Law which had today been misconstrued by mischief makers to be the subject of renewed killings by herdsmen in Benue. He called on the federal government to arrest and prosecute those behind killings in Benue and other parts of the country, saying they are known people who had earlier issued threats before the attacks were carried out unhindered.